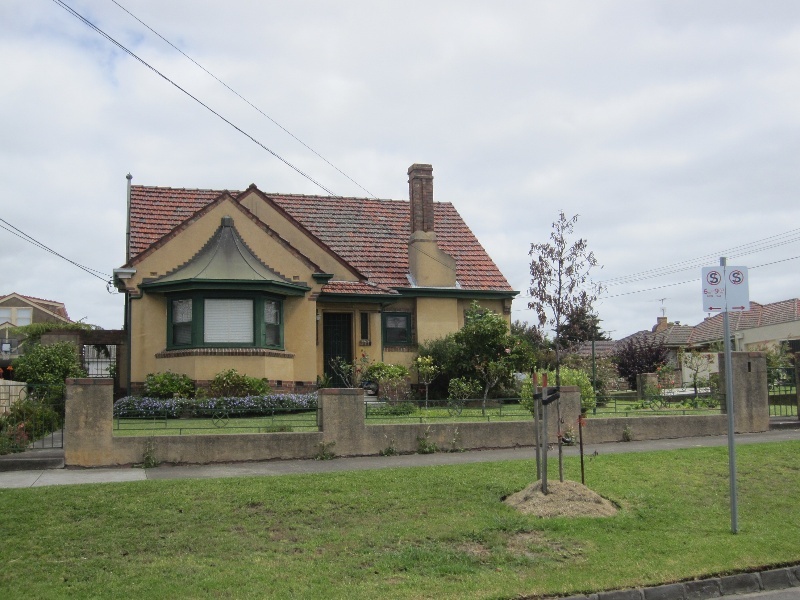 The houses at 32-34 Vida Street, Aberfeldie, were built circa 1892. They are aesthetically important (Criterion E) and they have historic value (Criterion B) as they assist in demonstrating the impact of the consequent subdivisions on the settlement of the area. Good examples of Inter War housing styles. 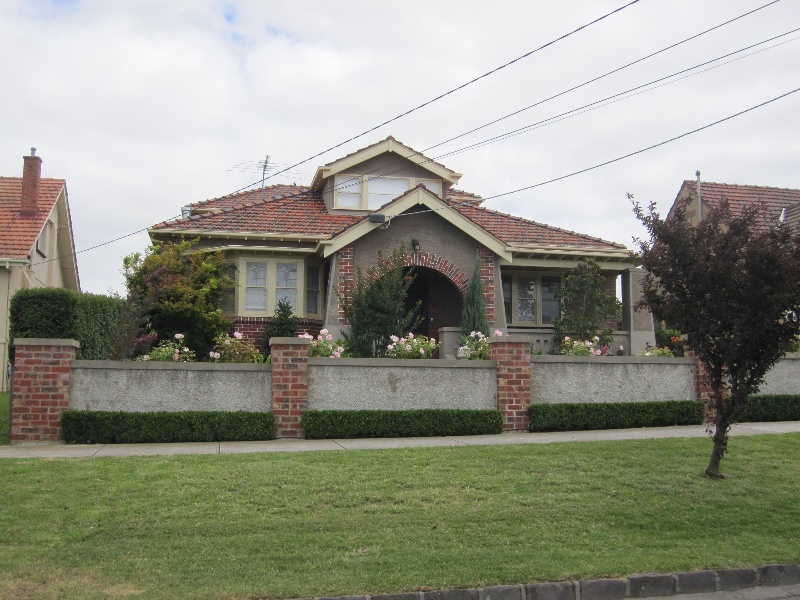 No 34 displays a detached unrendered symmetrical Californian bungalow with central portico on splaying columns. Condition: sound. Integrity: good (in spite of second storey addition). No 32 shows an Inter War Old English Cottage with broad oriel shaped bay window, rendered walls with decorative brick features, high pitched tiled gable roofs, tall chimneys all best on a picturesque asymmetry. Windows consist of casement sashes with geometric leadlighting to upper panes. Matching fence is still extant.